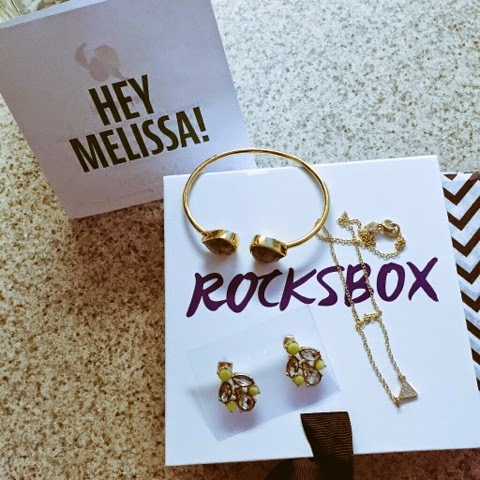 Can you rock with ROCKSBOX! Free month for YOU! Last month, the good people at RocksBox contacted me about their awesomely cool company. RocksBox is a subscription jewelry service that is perfect for busy fashionistas who don’t have time to deal with the details of finding jewelry. Hmm … sounds like me! 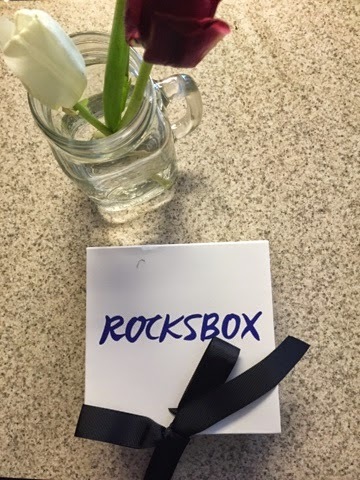 When you begin your RocksBox journey, your are asked about how you dress and what type of jewelry you prefer. After a couple of week (like 2 weeks) a gorgeous box of hand selected jewelry arrives at your door. It’s even personalized with your name! The packaging is seriously cute and super-girly – I really loved it! My first box of jewelry was just my style! A minimal pave detailed necklace by Sophie Harper, a gorgeous pair of jeweled earrings by Perry Street, and labradorite enhanced bangle by Margaret Elizabeth, were the items in my box. Upon first look, I wanted to keep everything! 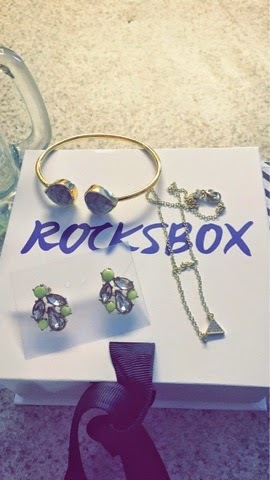 And that’s the cool thing about RocksBox, for $19 you can burrow three pieces of jewelry every month, if you love the pieces, you can purchase them for a super fab discount. If you don’t like the pieces, send them back and get another box. Very fly! With my first box, I’m definitely keeping these cute earrings. I’m gonna send the other pieces back to see what my next box will hold. Really, even if RocksBox hadn’t contacted me, I’d still subscribe to this service. 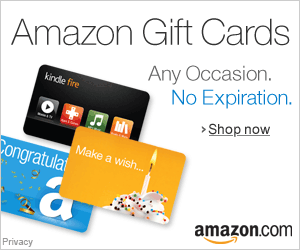 So, you wanna get a MONTH of RocksBox free? Well go to www.rocksbox.com/invite then use my SPECIAL code: melheartsxoxo. Try it out, I guarantee you’ll love it! See you next month – when I share my next RocksBox pieces.